The Mountain View Adobe is a Spanish Colonial Revival building. Construction involved pouring a concrete frame of columns and beams to support the roof, then infilling adobe bricks between the columns. The thick walls are covered in stucco and a gable timber frame roof rests on the concrete frame. 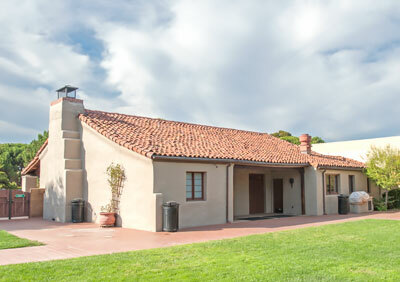 The Mountain View Adobe is significant for its continued role as a public building central to the development of the Mountain View community and as a building constructed under the Civil Works Administration. The building embodies the distinctive characteristics of a 1930s community building made of adobe and concrete. 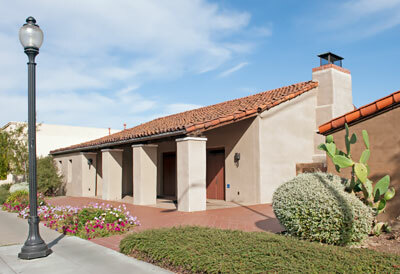 In 2001, the Adobe Building was returned to its original 1934 appearance. Adapted from the NRHP nomination form submitted in the year 1982.